During the 2018 legislative session, 28 states passed 45 laws to curb the rising cost of prescription drugs. In addition to legislative solutions, states are taking administrative action to better manage state spending on Medicaid pharmacy benefits. Ohio, West Virginia, and Vermont offer examples of states taking innovative administrative approaches to rein in drug costs. In August, the Ohio Department of Medicaid announced it would require its five managed care plans to end contracts with pharmacy benefit managers (PBMs) that used “spread pricing.” Spread pricing is a payment model that allows PBMs to profit by charging insurance plan sponsors more for a prescription than the PBM pays the dispensing pharmacy. The lack of transparency in the spread-pricing model makes it difficult for states to identify how much spread pricing contributes to their overall drug costs. Ohio investigated the impact of spread pricing and found it generated an 8.8 percent PBM markup on its Medicaid managed care pharmacy claims, a margin that enabled PBMs to pocket an average of $5.70 per prescription dispensed. In response, starting Jan. 1, 2019, Ohio will require managed care plans to use a transparent, pass-through payment model that requires PBMs to charge Medicaid exactly what they pay the dispensing pharmacy. To compensate PBMs under this pass-through pricing model, Medicaid managed care plans will pay PBMs an administrative fee estimated at 95 cents to $1.90 per prescription. To meet the deadline, managed care plans are working with PBMs to restructure contracts to comply with the pass-through requirement. In contrast to Ohio’s administrative approach, Louisiana’s 2018 spread pricing law, Act 483, bans PBMs that contract with the state from retaining any revenue in excess of the amount the PBM paid to the pharmacy through spread pricing. 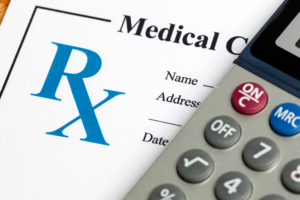 In 2017, West Virginia stopped using PBMs altogether after an audit revealed that public employee health plans were charged 1 percent more for prescription drug claims than PBMs were paying pharmacies. Lawmakers determined the 1 percent cost the state $10 million per year. Instead of using PBMs to administer pharmacy benefits for state workers and Medicaid beneficiaries, West Virginia now acts as its own PBM under a fee-for-service model run by its Bureau for Medical Services’ Office of Pharmacy Services (OPS). In addition to managing the single state preferred drug list, which had previously been used across managed care plans, OPS developed a Preferred Diabetes Supply List. The state pharmacy board estimates that carving out pharmacy benefits from its Medicaid managed care program will save the state $38 million in the first year. Administrative cost savings and modifications to dispensing cost formulas helped achieve those savings. The Department of Vermont Health Access (DHVA) released a Request for Information (RFI) in September to explore potential savings from establishing a direct relationship with a drug wholesaler. The RFI was in response to a legislative mandate in Act 193 that requires the state to identify opportunities for saving in the prescription drug supply chain. Under this model, payment for drugs would flow directly from DHVA to the wholesaler. Currently, pharmacies purchase drugs directly from wholesalers and are then reimbursed by DHVA. All publicly-funded prescription benefits in Vermont are reimbursed under a fee-for-service model, and pharmacy reimbursement rates are set by the state, not a pharmacy benefit manager. As a result, DHVA makes all payments to pharmacies directly, and not through a third party. A direct relationship between a wholesaler and the state would allow DHVA to purchase drugs in a manner similar to the 340B Drug Pricing Program model, which may present savings opportunities. DHVA must report its findings to the Vermont legislature by Nov. 15, 2018. Recent action, both administrative and legislative, reflects states’ growing demand for more transparent pricing and payment models. Learn more about all state action on curbing drug costs at the National Academy for State Health Policy’s Center for State Rx Drug Pricing, a warehouse of resources, including model legislation, new state laws, and legal analysis.